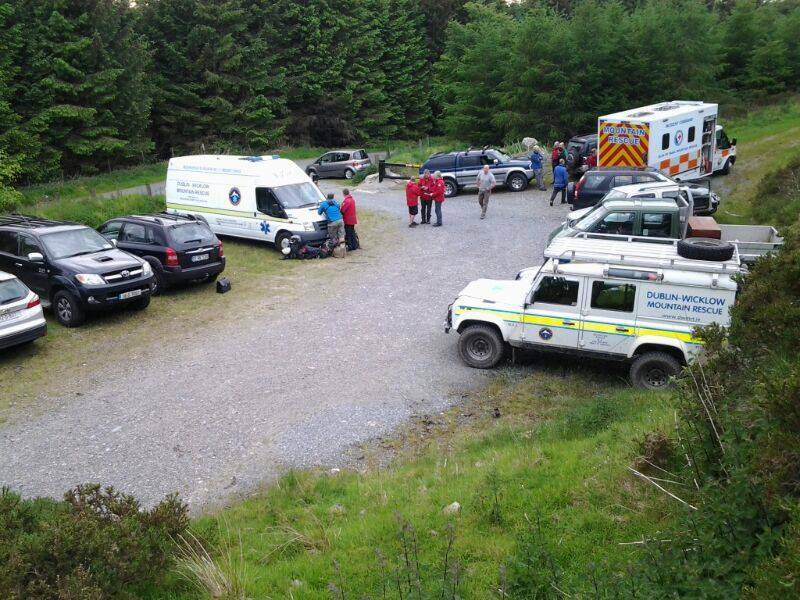 On Wednesday, May 28th at approximately 17.45 Mountain Rescue were made aware of a woman in her fifties who had been reported missing while out walking near Seefin in Wicklow. The lady had been out walking with her husband when they became separated. As he was unable to find her he called The Gardai and we were tasked to search for the woman. As it had been a few hours since the lady had last been seen it was decided to issue a full team callout. Members of Dublin & Wicklow Mountain Rescue Team and Glen Of Imaal Red Cross Mountain Rescue Team assembled at Athdown to formulate a search plan and the Coastguard S92 helicopter was also tasked. Thankfully the lady was located a few kilometers away by a family member before searchers had been fully deployed and the search was stood down at 19.02. Thanks to all those who responded and to everyone involved.